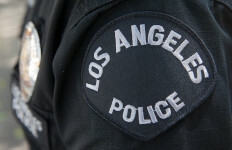 A Long Beach police officer who said he was subjected to a backlash in 2015 when he protested how management responded to complaints by a recruit who did not want to train in an unsafe area was awarded $2.5 million in damages Thursday. A Los Angeles Superior Court jury deliberated for less than a day before finding in favor of 28-year veteran Lawrence Alexander, who struggled to maintain his emotions and as he heard the verdict and later when thanking jurors. Lawrence said he once supervised a large group of officers and had his own office, computer and cell phone. Thursday, he said, he is on patrol duty, the same task he was assigned when he joined the LBPD. Alexander was a field training officer coordinator responsible for ensuring that the Long Beach Police Department complied with generally accepted Commission on Peace Officer Standards and Training (POST) procedures. A deputy chief directed the sergeant to offer the recruit an assignment in a safer area in lieu of resigning, the suit states. Alexander protested that the offer to the recruit violated POST regulations, according to his suit. Alexander said the recruit was “man enough” to decide that being a police officer was not for him, but that management was concerned about the department’s attrition rate and the deputy chief’s reaction was to move him to another part of the city. Both the deputy chief and the sergeant are now retired, Alexander said.